Business stationery plays an important role in establishing a company’s brand identity. The objective of business stationery is for the public to identify the company from their brand identity and demonstrate that the company is serious and reliable. Letterhead can be printed on company stationery with one color or in a rainbow of colors. The ink will be printed in either a flat or raised effect and in individual colors for a formal appearance. The letterhead printing paper is usually a higher quality paper that has matching envelopes. The quality of the paper is also important to establish an identity. 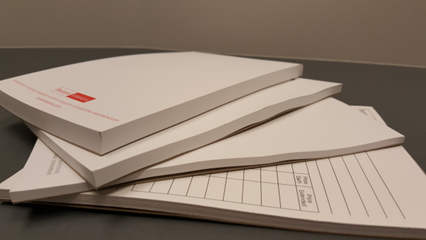 Business stationery should be selected with the right weight to establish the proper feel that supports the brand identity and is able to be imprinted in office laser printers. The color of the paper should complement the logo and appearance. Keep in mind that the color of the paper can affect the ink color so request a sample before committing to a color scheme. 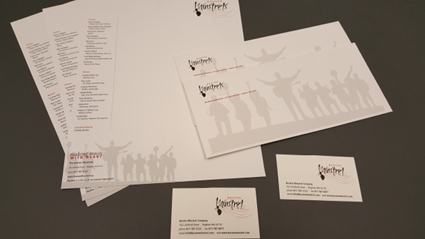 Letterhead printing can be done on a variety of paper sizes including executive and monarch size. Monarch size paper is lesser known than executive, which is A4. Monarch is smaller than the standard letter size and also requires a matching envelope. 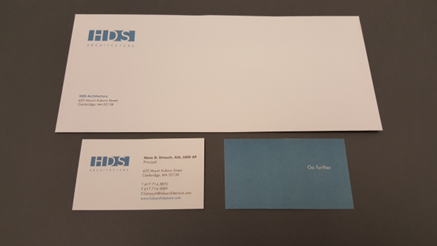 This letterhead printing format is used to communicate personal notes from one individual to another regarding congratulations for specific achievements or to communicate confidential information in a more personal approach. In addition to letterhead, effectively designed business stationery cards provide a bold first impression with your prospective customers. Business cards also put your contact information right at their fingertips when they are ready to buy. They should generate a positive emotional reaction along with a strong visual image. This is achieved through fonts, colors, and paper. Make sure to choose materials that are all compatible and complement each other. Business cards can be printed in either portrait or landscape. You can also choose between flat or folded. 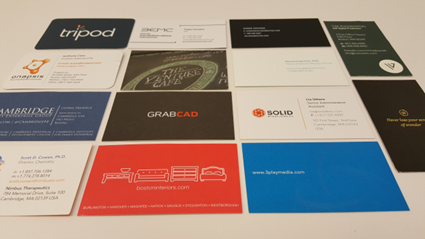 Business cards can be printed on one or two sides. Printing on the second side can be used for translations or to convey uniqueness about your business. The card design should be simple, elegant, and easy to read which communicates these same feelings of simplicity, elegance, and ease with your customers. The logo should be the most prominent and eye-catching element on the card so that your business name is remembered. The paper for business cards will almost always be thicker. Notice that you can use rounded corners, folding, a different size, die cutting, foil stamping, embossing or engraving to further the uniqueness. Always hand people more than one card so that they can share it with an associate. We can help you combine these elements to optimize the impact of your message.